Protecting your pet from harmful diseases and illnesses is one of the most important things you can do to ensure your dog lives a long, healthy life. This starts with the proper vaccinations against common canine diseases. With the help of your veterinarian, you can provide the proper protection for your furry friend. Much like human vaccines, the injection contains a small amount of altered or dormant virus, bacteria, or disease-causing organism. Your dog’s immune system will learn how to fight against the disease, and will further-more be immune to any future occurrences. A puppy gains immunity from harmful diseases through the mother’s milk. However, this temporary immunity lasts only 6-12 weeks, in which it will be time to consider initial vaccinations. These will be repeated for the first 3-4 months to ensure the effectiveness of the vaccination. After this period, your dog will still need continuous vaccinations, but not as often. Your vet will create a schedule for your pet’s vaccinations; it’s important to follow the schedule on time to maximize the effectiveness of the vaccinations. What Kind of Vaccinations Does My Dog Need? 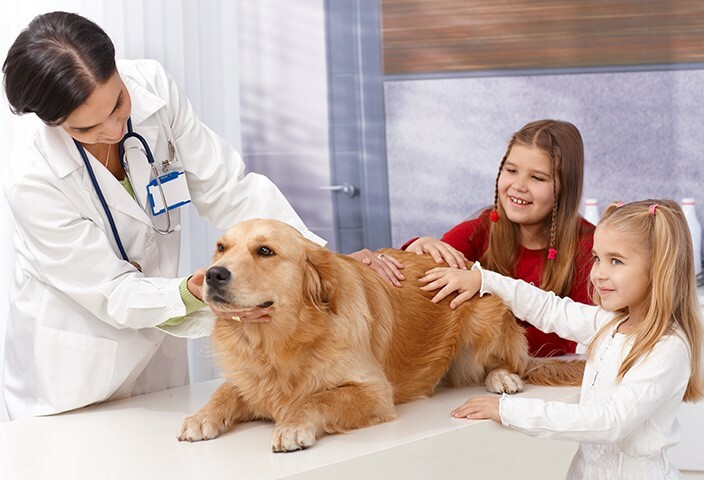 Veterinarians believe that your dog needs to be protected from the most common, infectious diseases. These include canine distemper, infectious canine hepatitis, canine parvovirus, canine tracheobronchitis and rabies. Other vaccinations can be recommended based on your dog’s breed, age, lifestyle and more. Vaccination against this often fatal and hard-to-treat disease is critical in all dogs. It is highly contagious, as it is spread through discharges from noses or eyes of infected dogs. The virus affects many different organs, and can cause permanent, long-term damage even if the dog survives. Symptoms include: listlessness, fever, coughing, diarrhea and vomiting; convulsions and paralysis. Otherwise known as a canine cough, this respiratory tract infection is easily transmitted across dogs through the air or direct contact. The most obvious symptom of this illness is the onset of a dry, hacking cough. This highly contagious, debilitating, and widespread disease is spread through feces. The virus can remain dormant in most environments for months at a time, with vaccination being the only certain method of preventing infection. Symptoms include high fever, listlessness, vomiting, and diarrhea. This incurable, fatal disease can affect man or animal. It is spread through bites, and the only cure is vaccination. Because rabies cannot be cured once symptoms begin, regular vaccinations are essential. If you wish to travel with your pet, you will need to prove your pet has received his / her rabies shot. Caused by Adenovirus Type 1 virus, this disease is transmitted through a bodily fluid such as saliva or urine. The symptoms are similar to the stages of distemper; liver failure, eye damage, and breathing problems. Proper vaccination remains the best possible protection. Other illness to get vaccinations for include leptospirosis, a bacterial disease that attacks the liver and kidneys. Another virus to beware of is canine coronavirus, which attacks the intestinal system. Finally, Lyme disease is transmitted through parasites like ticks which cases chronic arthritis and sometimes even death. Like any drug treatment, vaccinations are never 100% effective. However, when used in conjunction with proper nutrition and healthy living environment, vaccination is the best defense against fatal diseases. When you consider the cost of treating a disease overpaying for regular vaccinations, prevention is extremely cost-effective.